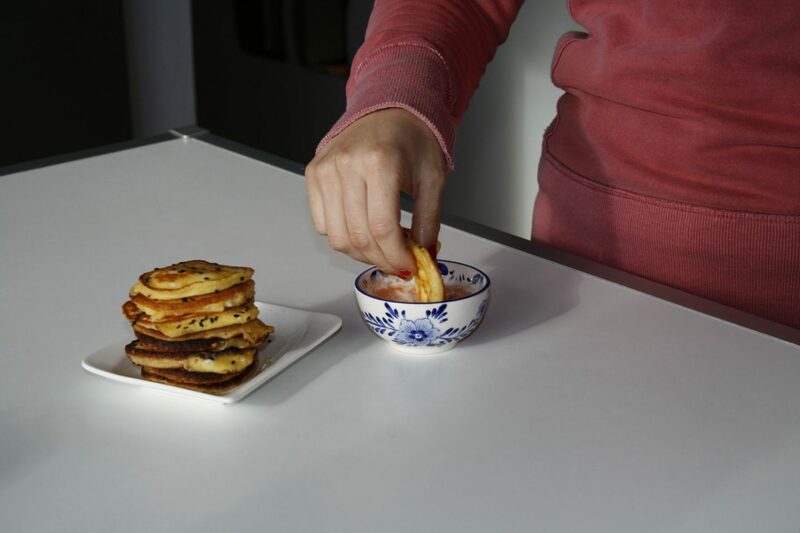 Everything’s more adorable when put in mini size 🙂 These feta pancakes tell a story of a sunny, very sunny January Saturday filled with good food and laughter. Made as a surprise for my roomie. With just a couple of ingredients in 10 minutes. Because some days you just wanna spend your time on stories and laughter. 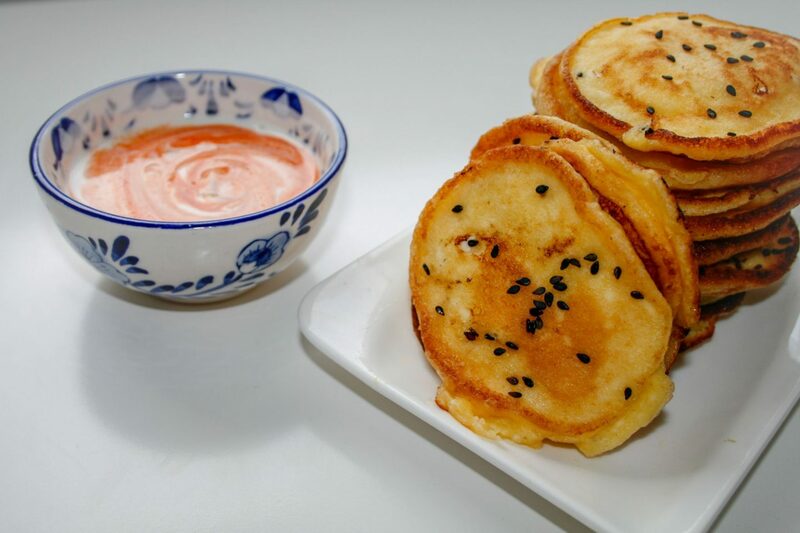 Mix the eggs, flour and feta in a smooth batter. 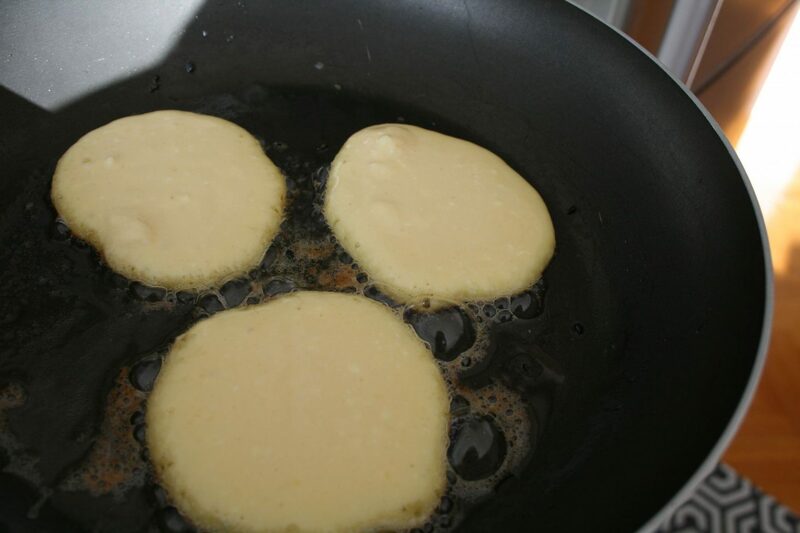 Heat up couple of table spoons of oil and fry 3 pancakes at the same time. A table spoon of batter does the trick. Fry on a low heat for 2 minutes then turn. 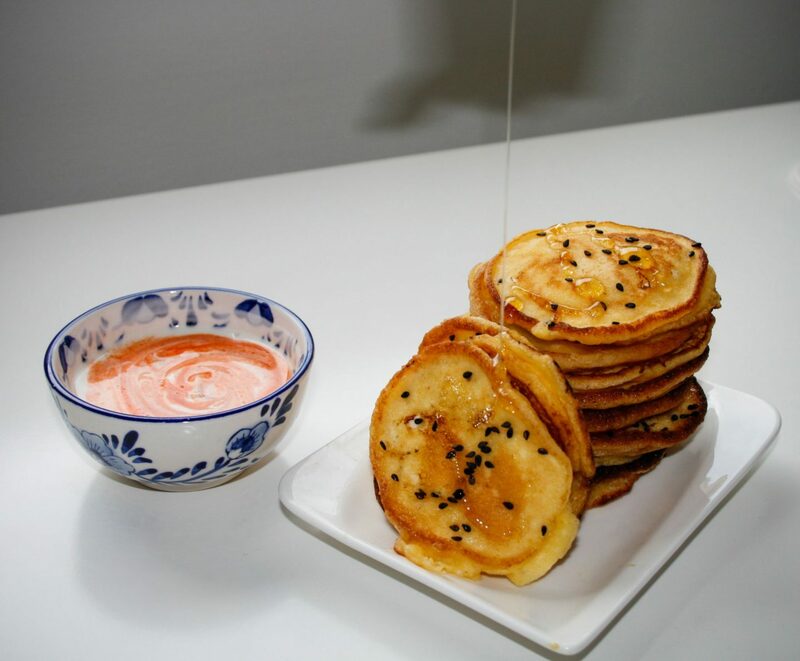 Drizzle with some runny honey and sprinkle with sesame seeds. You’ll get 12 pieces. Serve them warm with some sauce on the side. For me it’s Greek yogurt mixed with Sriracha. And don’t forget to share with someone dear.